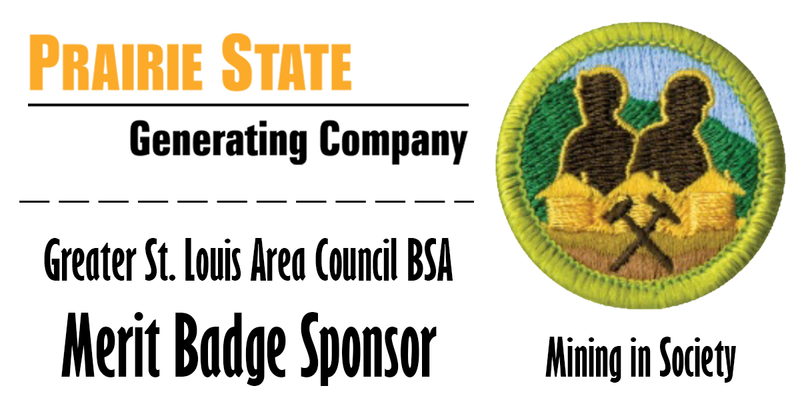 Prairie State is proud to be the sole sponsor of the Mining in Society merit badge for the Greater St. Louis Area Council of the Boy Scouts of America. It is an honor to give back to our community by supporting local youth organizations. Please visit the link below for a complete listing of merit badge sponsors.